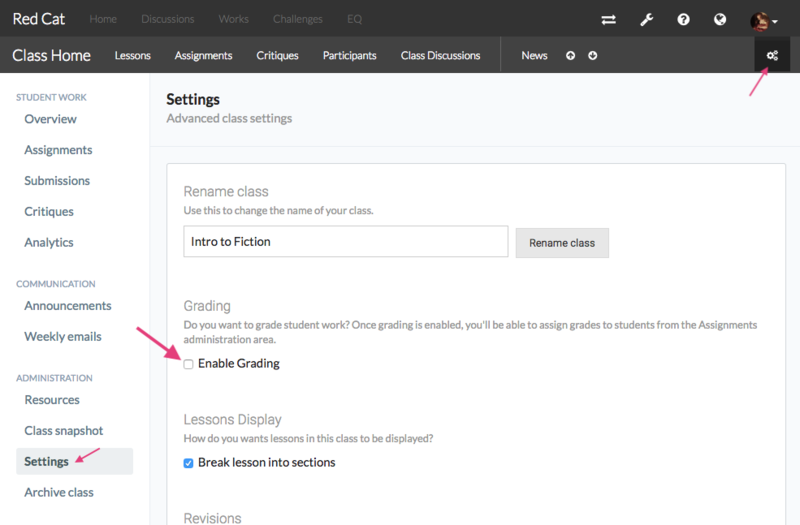 Enable grading and assign scores to student work and critiques. Do you want to grade student work in your class? Start by enabling grading. You'll then be able to assign scores to students for their work on assignments. For assignments that requires critiques, you can choose to grade critiques a student writes as well. 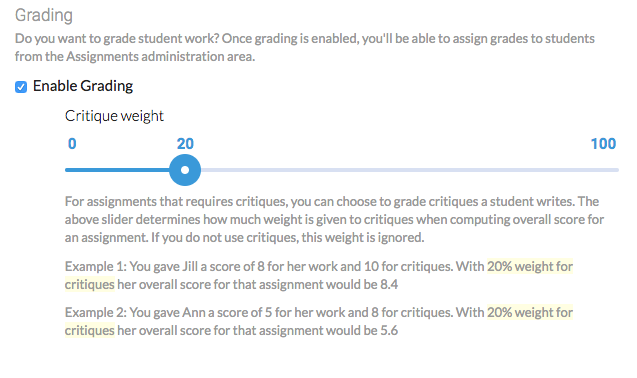 Here is how you can control how much weight is given to critiques when computing overall score for an assignment. Note that if you do not use critiques, this weight is simply ignored! Note that you also see a list of all the critiques a student wrote for that assignment. You can view all student scores in one place from Grades area of Class Administration . Note that this is for viewing only. 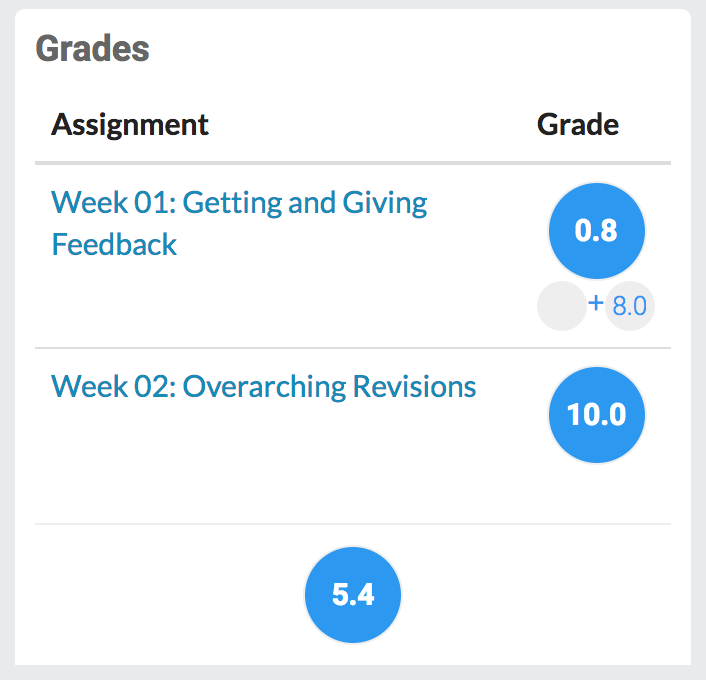 To assign grades, use one of the two options described above.